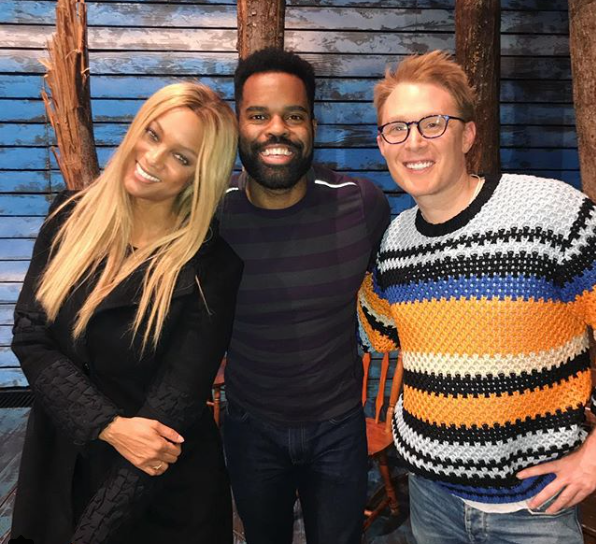 On Friday, December 22nd, the entertainment section of The Daily News published an article about Tyra Banks and Clay Aiken visiting the Broadway show, Come From Away. It is short, but interesting. 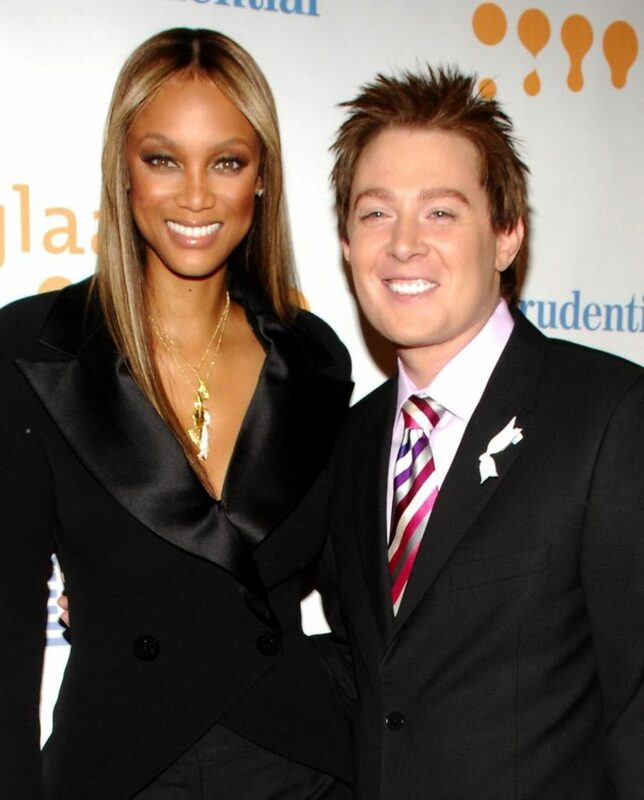 Top model Tyra Banks and her mom, Carolyn London, joined crooner Clay Aiken for a night on Broadway. The unlikely trio took in a Wednesday night performance of “Come From Away” at the Gerald Schoenfeld Theatre, which was probably Aiken’s idea. Aiken, who has seen the show three times, walked Banks and London backstage after it was over and introduced them to the entire cast. 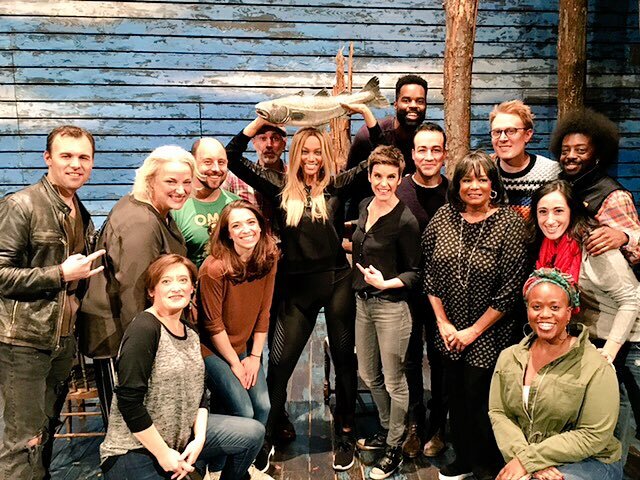 A theater insider says that Banks was so moved by a number in the show in which cast members kiss a fish that she asked if she could “kiss the cod.” The show is set in Newfoundland, where that particular fish is significant to the culture. “Stage management brought out the prop fish, which has been kissed by celebrities from Hillary Clinton to Tina Fey, and Tyra kissed it before triumphantly raising it over her head,” we’re told. 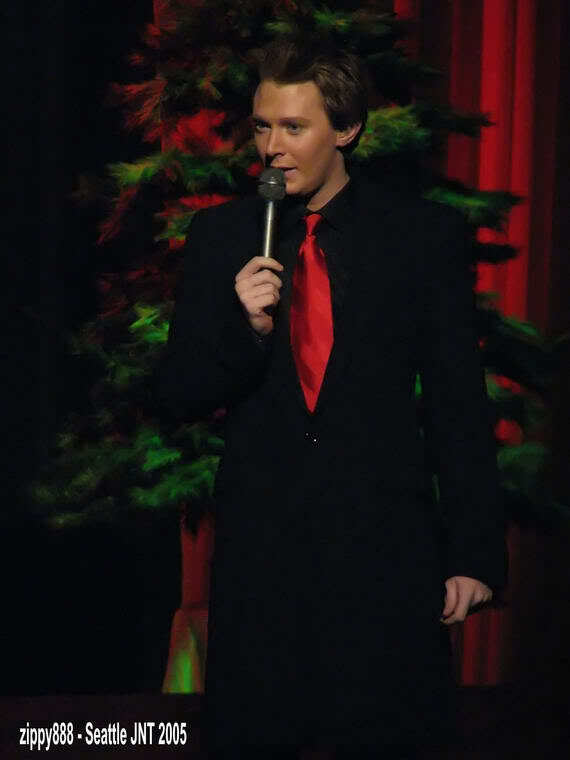 No one sings Christmas Carols better than Clay Aiken. Somehow, his voice just soars when he sings the beautiful songs of the season. His album, “Merry Christmas With Love” set a record for 1st week sales of a holiday album with sales of 270,010. When Clay released his Holiday EP, “All Is Well” in 2006, he added four more beautiful songs to his library of recorded Christmas Carols. Clay included one of the most loved traditional Christmas Carols, “Oh, Holy Night,” on his album. This carol has been named one of the most beautiful of all Christmas Carols, with excellent lyrics and a beautiful melody. This song received its premier at the midnight mass on Christmas Eve 1847. No one sings this beautiful carol better than Clay Aiken!! The following video was made by the talented SueReu. Watch Clay sing O Holy Night -and a bit more too! I am a big fan of SueReu! Love all her videos and especially the ones for the holiday season! Great seeing Clay out with his friend Tyra and her mom! By the way love the sweater. I rejoiced when I watched this beautiful video by SueReu. 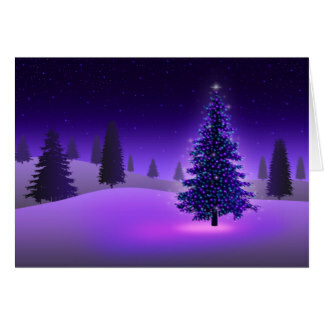 Hope everyone has a blessed Christmas with family & friends. Nice to catch up with CANN, SueReu, and news of Clay. I no longer have a computer so finding this on my phone is a real Christmas treat! Suereu thanks for all the work you do. they are all wonderful Love Clay and miss him. Error: Error validating access token: Session has expired on Tuesday, 21-Aug-18 16:13:01 PDT. The current time is Saturday, 20-Apr-19 02:30:39 PDT.